Following 2010 season-opening Bahrain Grand Prix, Formula 1 teams were able to assess where there competitive program stood against the best efforts of their rivals. A quick glance at the podium following the race in Bahrain, fans of the glimmering red Scuderia Ferraris were able to cheer loudly as the team's F2010 car went to a 1-2 finish. Beyond the success of Ferarri, a certified turf war between major two Mercedes-Benz powered teams of Mercedes GP and McLaren, a Red Bull Racing mechanical struggle that proved costly for the than F1 superstar Sebastian Vettel as well as a survival of the fittest between the three new Formula 1 teams became the dominant memories of the 2010 Bahrain Grand Prix. For the second race of the 2010 Formula 1 season, the world open-wheel series team sets foot in the land down under for the Australian Grand Prix. Racing within the stunning Albert Park circuit, the 12 teams of making up the 2010 Formula 1 grid realize that this Melbourne track is also a punishing test for their new racing equipment. 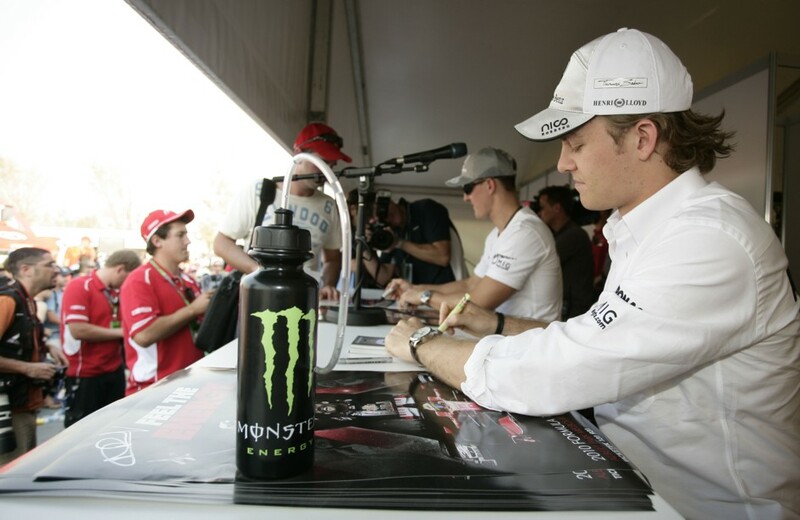 In Day 1, two practice sessions took place around Australian midday. 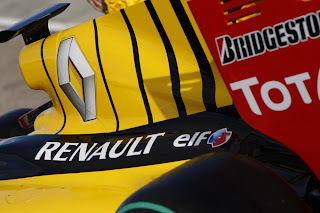 Following a ho-hum debut with his Renault F1 team in Bahrain, Robert Kubica and his formula 1 car flew to the fastest time in the initial tune-up for the 2010 Australian Grand Prix. Setting a time of 1 minute, 26.927 seconds, Kubica outran the factory Mercedes GP team's Nico Rosberg by two-tenths of a second. The McLaren Mercedes team driver Jenson Button placed third in front of the Ferrari of Felipe Massa and Sebastian Vettel piloting his Red Bull-Renault. Through the first practice, the BMW Sauber team gained exposure in a less than desirable way as the car driven by Kamui Kobayashi would bring out two red flag periods. Colliding with a track marker cone, the BMW Sauber-Ferrari's impact with the plastic marker caused the front wing assembly to break off. Sent back onto the Albert Park track for lapping, Kobayashi would learn that the front wing repair was not lasting. The aerodynamic front piece came away from the Sauber drawing the practice session's second red flag. While the first practice for Kobayashi in the Sauber was less than fruitful, the second day 1 session saw an improvement to 13th fastest. As the second session of qualifying commenced, a light rain dampened the Melbourne race circuit. However, with the precipitation registering mostly as sprinkles, most teams continued lapping on the track on dry weather slick tires. With the track still intact for dry weather runs, the cooler temperatures of the second session also aided teams in improving their speeds over the first practice. The second practice was so fast that 9 drivers bested Robert Kubica's time in the morning. Leading Formula 1 drivers after the second practice would be the McLaren Mercedes group led by 2008 World Champion Lewis Hamilton blistering around Albert Park in 1 minute, 25.801 seconds. Two-tenths behind Hamilton, Jenson Button put his car ahead of the second Red Bull Racing vehicle of Mark Webber. With Mark Webber making a fantastic showing in front of his homeland population, he was also positioned ahead of Michael Schumacher. Two honable mentions from the second practice are Vitaly Petrov in 5th and Toro Rosso team driver Sebastian Buemi in 6th place.